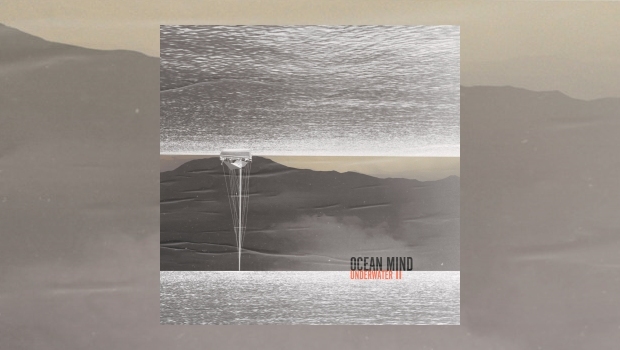 Greek rockers Ocean Mind returned with a new album in May last year, Underwater II representing a change of sound from the first part of the Underwater collection which was released at the end of 2015. This album is essentially two epic tracks, Bowshot and Chained, both notable examples of the talented musicianship that is available from this band. The two tracks are full of movie soundtrack level sounds and adventure, a dramatic departure from the more heavy metal oriented ‘Part I’ album. Chained includes nine individually titled tracks. The first, Phrygian Sun, is full of beautiful piano played like the opening to a movie soundtrack, with strings, acoustic guitar, synths and Spanish rhythms. It is simply mesmerizing. Rock takes over on the second part, War, with more drums, bass and flamenco–like guitar. Middle-Eastern and symphonic rhythms dominate and it is beautiful to behold and hear. In contrast, Peace has a dark opening before the almost translucent glow of vocals and spacey synths take over. This sounds like a throwback to the soundtrack to 2001 – A Space Odyssey. The rest of Chained is full of cool space rock images and plenty of mesmerizing lead guitar riffs, with powerful support from piano, bass and drums. Simply wonderful headphone music. Bowshot features ten tracks. It opens with The Maze, almost an ode to the opening of 2001 – A Space Odyssey, only this time with South American flutes added. It is quite epic and hypnotizing. Then the Hammond Organ, which played such a grand part in Underwater I, returns to add its magic to another hypnotic instrumental. It is followed by Anima Machina, the first lyrically directed track of the albums. This one is a wonderful homage to the ‘60s kind of music that Pink Floyd and other space rock and progressive bands created. The rest of Bowshot is similar in sound; ‘60s space rock, with wonderful Hammond Organ running through it. Overall, this album is a wonderful addition to the progressive pantheon. I would recommend it as a fine addition to anyone’s record collection and especially something to appreciate in the solitude of headphones and a relaxing chair. Ocean Mind have now amalgamated parts I and II of Underwater into a single double album, the epics from Underwater II now forming part of the greater whole. You can listen to the complete 17 track album via the Bandcamp link below.